Donald Trump was about to clinch the Republican nomination when I first met my now husband abroad, in June 2016. 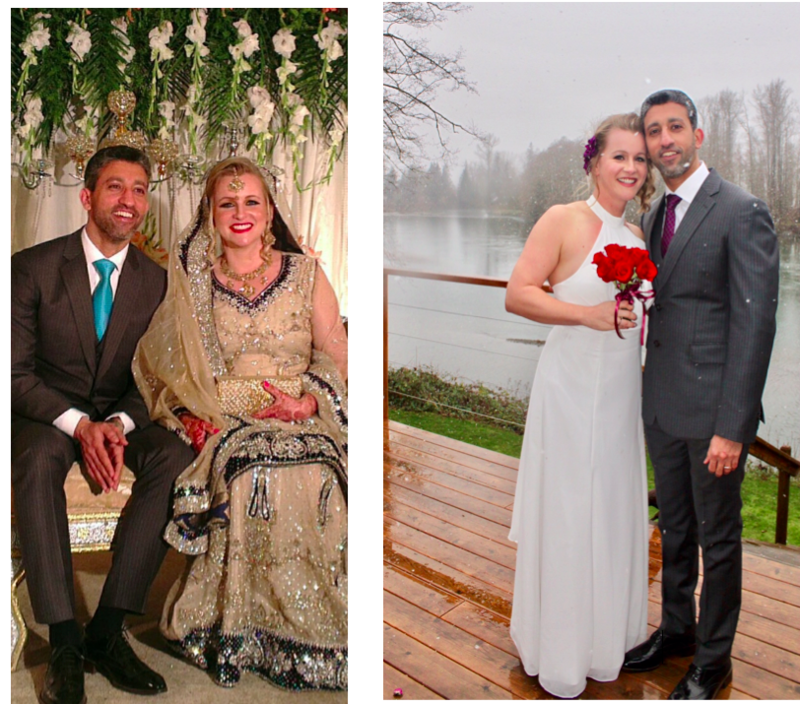 As we became enamored of each other in the following months, we paid little attention to the changing political climate in the U.S. We were wildly unprepared for what it would mean for an American to marry a Muslim from Pakistan. We spent the summer falling in love in South Korea, where we still live. He is a physicist and I teach. We absolutely lived for our uninterrupted weekend explorations of the country together. He carefully organized hiking, camping and kayaking trips so we could discover the beauty of the mountains in bloom. He would sweat over a hot stove to cook me his favorite dishes from home, always careful to lessen the spice for my Western palette. He patiently helped me learn some vocabulary from his mother tongue, never tiring of helping me as the strange sounds just wouldn’t stick for me. We would lie on the banks of Seoul’s Han River at night, comparing the merits of each other’s cultures. It was our most perfect courtship. We were engaged in September. Despite our religious and ethnic differences, our families were boundlessly supportive of us. During this time, Trump’s campaign was fortifying itself. In the weeks that we planned multicountry weddings to accommodate all our loved ones, Trump argued for a wall to be built along the U.S. border. As we planned the timing of when we might start a family, Steven Bannon was defending the statement, “Birth control makes women unattractive and crazy.” While we decided we would expose our future children to various faiths and allow them to choose which felt right to them, Mike Pence described himself as a “happy warrior” for Christian conservatism. 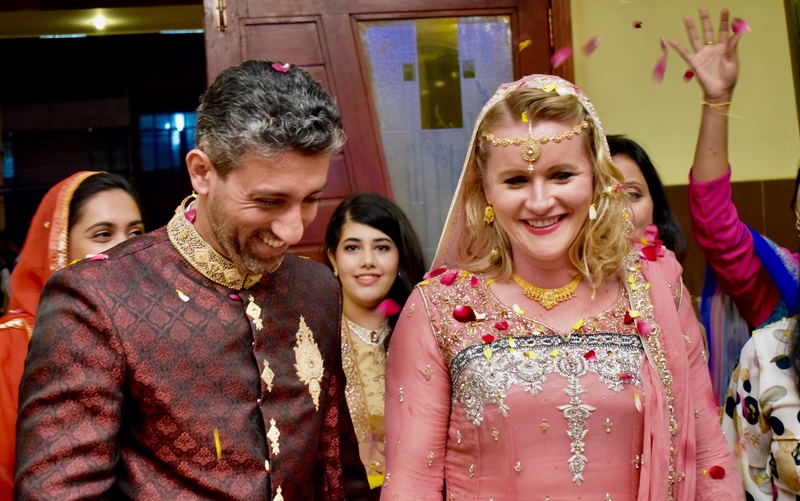 As my husband’s family in Pakistan and the UAE joyfully coordinated our impending nuptials in Lahore via video chat, some U.S. conservatives argued for banning all Muslims from my country. The dissonance between the private and the political, between my positive personal experiences and the Islamphobic rhetoric I read in the news, was distressing. It was a harbinger of challenges to come. We exchanged our American vows in Washington just weeks before the January 27 executive order would make it nearly impossible for us to return to the U.S. together any time soon after. Although Pakistan is not on the list of banned countries, a male Muslim scientist in his 30s has a slim chance of being permitted entry. Through no fault of our own, our marriage became partisan. Even with the multiple-entry U.S. tourist visa he obtained before we met, I don’t know that I feel secure returning home with him. I fear for him passing through airport immigration. Years ago, he was detained for five hours at the Houston Airport as an immigration officer asked him nonsensical questions about physics projects in Europe, citing incorrect locations for them. I have visions of him disappearing into a glassed room, locked away without the ability to get help. I worry for his physical safety when we visit rural areas of my native Arizona. It is a place that has always felt so safe for me personally, but it has transformed in my mind. I imagine us entering a dirty dive bar off a highway in the northern mountains, voters of that red county laying down their glasses slowly and looking at his foreign features with suspicion. Would they try to hurt him? I think of us leaving that bar and highway patrol flashing lights at us to pull over at night, in the middle of nowhere without cell phone service. Is it somehow safer for us to wait until we are near a town or business to pull over? These must be the thoughts that men of color and their families have had for years, and I am only beginning to understand them abstractly now. In a sense, the direction that my country is taking makes me an outsider in the very nation where I was born and raised. I will never live apart from my husband, and I have concerns about his ability to be with me there. I am no longer confident that our Ph.D. degrees would help him with immigration if we got jobs in the U.S., or that he could even accompany me if I need to be there to care for my aging parents. Moreover, I wonder if our future children will be de facto foreigners in my own country. Without a change in immigration policy, they couldn’t easily spend time there with their father due to my husband’s nationality and religion. Perhaps my side of the family won’t know my children as well because our visits would be too much of an immigration challenge. It’s strange to think that I am a committed American, yet my children might actually be less American over their lifetimes because of the outcome of the 2016 presidential election. With the ill-conceived and unconstitutional stroke of his pen in January, the president changed the course of my family’s future. The anxiety that must exist for millions of others whose livelihoods, and actual lives, are endangered by that stroke is inconceivable to me. A conflict for us is whether my husband should apply for a green card. For me, immigration conveniences for our family matter above all. However, for him, there are identity and ideological complexities beyond just the ease of having a U.S. passport. His passport is tied to his religion in a way, as he is from the Islamic Republic of Pakistan. His nationality embodies his family connections, roots and childhood in a very particular way, as he spent his formative years as a socially marginalized noncitizen in the UAE. There is also the concern over whether applying for his citizenship means complicity in an unjust immigration system. There isn’t a right answer. Like so many other Americans, I sometimes feel powerless. I told a student after the election outcome that our inability to change the Electoral College, despite its out-datedness, was the compromise we make for our political and legal stability. In turn, I thought the Constitution would stop chaos like the current immigration policy from happening, but I was wrong. I don’t know how to move forward in such unforeseen circumstances. I don’t think anyone does. I do know, however, that I can do my best to be a model American abroad. I know that my husband and I can maintain our commitment to true American ideals as we raise children imbibed with a sense of social justice. Being the people the U.S. needs, and raising our children to do the same, is probably the most sustainable action we can take. My navigation of the U.S. immigration system will be just one of several topics I will explore as a columnist for The Islamic Monthly. In the coming year, I will analyze the state of affairs for marginalized communities in various countries in Asia; research gender and culture in Pakistan; explore South Korea’s growing Muslim population and East Asia’s struggle with diversification; and examine how Islamic ideals fit with both domestic and international legal systems. I look forward to questioning not only global norms and policy, but also my own views. I am eager to learn alongside TIM readers. *Image: The author and her husband at her wedding. 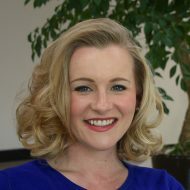 Laine Munir has a Ph.D. in law and society from New York University and a master’s in human rights from Columbia University. She spent most of the last decade as an enthusiastic Africanist researching women’s rights. She is spending this year as an international correspondent reporting on minority communities. She lives among an impressive community of global thinkers in Seoul, South Korea.